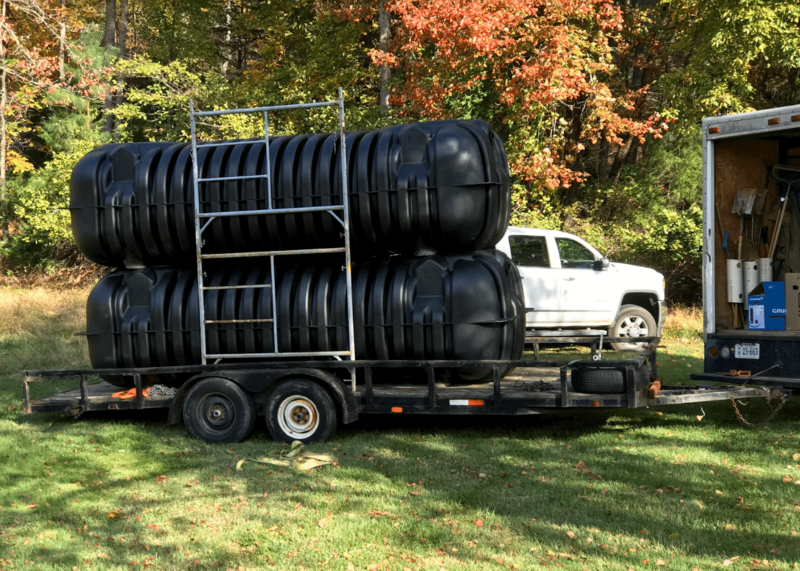 Collecting rainwater in tanks like these also eliminates potential damage to your foundation from mismanaged water from downspout drains. Time and again, we have seen water as the number 1 reason for foundation damage and settlement. As the AB Chance helical pier certified dealer in Central Virginia, we would ALWAYS recommend redirecting water away from the base of your house to prevent major problems later. Rather than having water collect along your foundation or in your basement, we reroute the roof runoff to collect into storage tanks. We calculate the roof surface square footage to determine the size tanks necessary for your particular needs and application. You might also consider rainwater collection tanks as an auxiliary well. Homes in Central Virginia commonly have wells dug as the property’s primary water source, which is not necessarily guaranteed to provide water forever. Digging a new well can be expensive and a big inconvenience. Having a backup water source provides your family with a sense of security and preparedness in case of emergency. In other parts of the country and throughout history, people use cisterns in the same way, either as primary or secondary water storage. 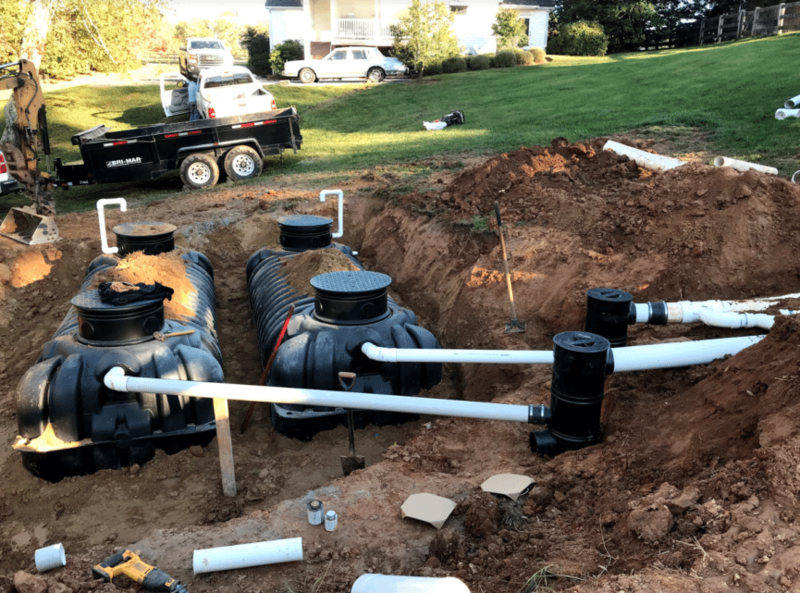 As Charlottesville’s leading expert in earthwork and foundation repair, we would love to help you with all of your water management and storage needs. Whatever your property needs, rainwater collection tanks could be your answer. Contact us at 434-293-6724 for an estimate today!